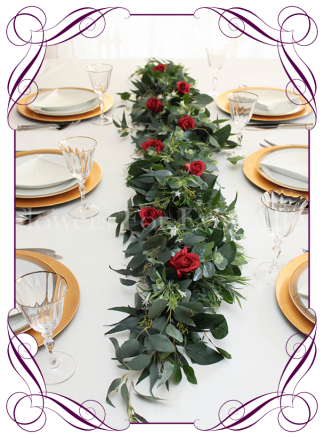 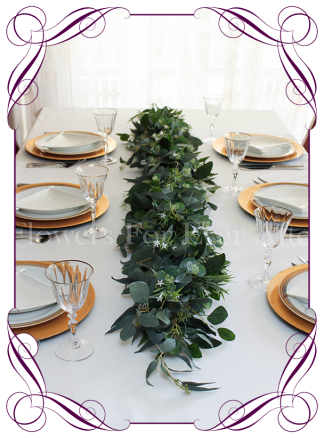 An easy table decoration / centerpiece. 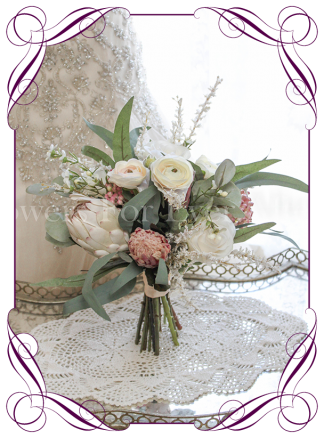 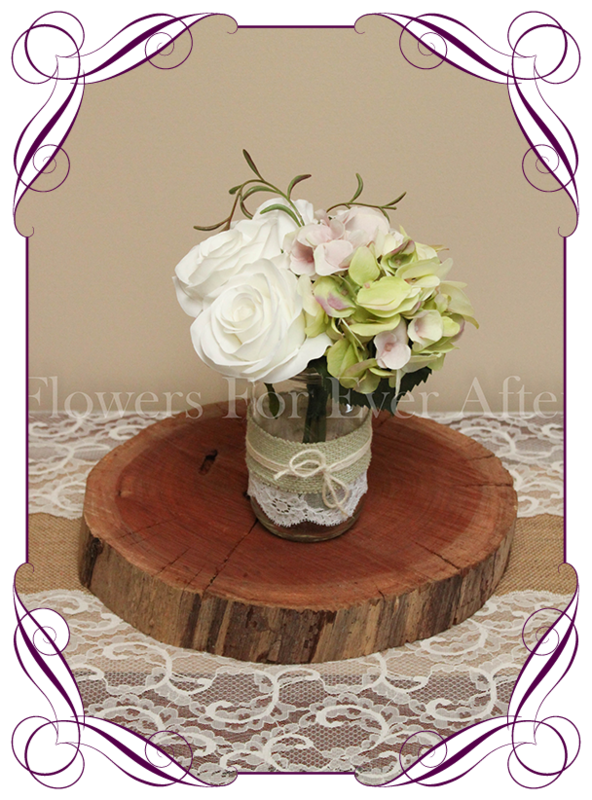 This tied bunch features white roses with green mauve hydrangea and a spray of vine foliage. Can easily fit into mason jars, milk bottles, tins, teapot etc. 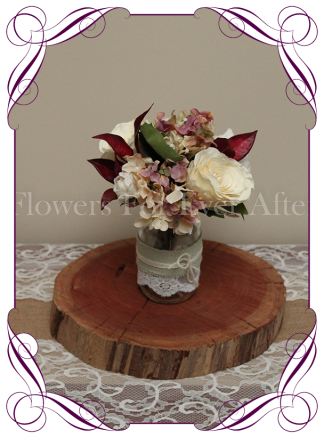 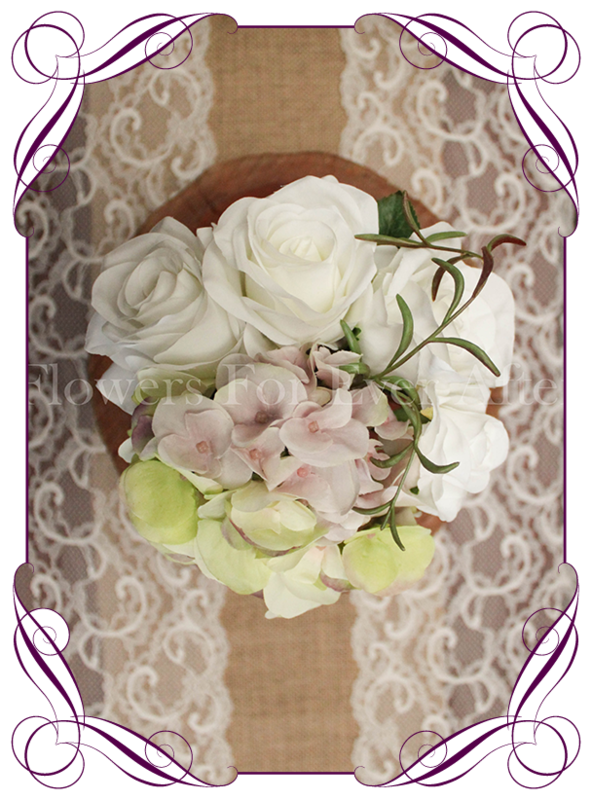 List price is for the posy only…the decorated jar is NOT included. Measures approximately 17cm across when evenly spread.